This entry was posted in Budgeting and tagged Cash Only Household Budget, Managing Money Tips, Save up Cash on January 30, 2015 by venture27. Given the rise in the cost of living, the part-time job economic crisis facing the nation, and the amount of debt currently in circulation, many Americans are seeking managing money tips that will allow them to save up cash. According to current statistics, consumers in the United States possess $11.74 trillion when it comes to debt. Out of that figure, $882.6 billion is debt in credit cards, $8.14 trillion is debt in mortgages, and $1.13 trillion is debt in student loans. 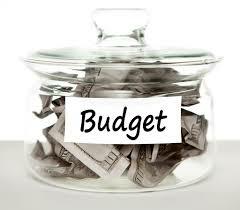 In order to improve your financial situation, you must make it a goal to create a cash only household budget. That is, you commit to avoiding all purchases until you have the money, in hand, to make those purchases. You may still possess debt in order to become a cash-only household; however, you simply avoid depending on your plastic “cushion” to purchase items. While considered to be a relatively new concept to many, out of all of the recently introduced and explored managing money tips in circulations, more and more are gaining a heightened interest in becoming a cash-only household so that they may save up cash. Millions upon millions of Americans are considered to be “addicted” to credit. That is, they engage in spontaneous, compulsive shopping and often make their purchases using their credit cards. The concept of creating a cash only household budget is not only considered to be a completely foreign one, many simply cannot imagine their lives without being able to use their credit resources as a type of financial back-up plan. The good news is, it is not only possible to survive without credit cards, you have a higher chance of thriving when you elect to put those cards away and depend solely on cash. Transitioning to a cash-only household is about economic empowerment. It will allow you to take control over your finances. By simply observing common complications, such as fluctuations in the stock market, the increasing prices of real estate, and job insecurity, most feel as if they have very little control over their financial situation. By utilizing cash when making purchases, instead of credit, it allows one to feel as if they have some degree of control in an unpredictable world. At one point in time, credit cards and other types of credit did not exist. Individuals had to rely solely on the cash that they earned and/or obtained. These individuals were debt-free. Today, more and more are finding this to be an appealing concept. Our culture has developed this mindset that when they want something, it has to be got right now. This is why so many owe an outrageous amount of debt. By transitioning back to the cash-only for purchases concept, we are moving back to the basics. In addition to lowering the amount of debt that your household accumulates, you will find it more difficult to part with the cash when making a purchase. As a result, you will find that you purchase less. Out of all of the managing money tips, the cash-only concept will allow you to save up cash in ways that you never before imagined. Starting today, hide the plastic and deal only in green. In doing so, you will find that you are able to quickly eliminate debt, reduce unnecessary spending, and live a happier, more fulfilled life.